According to legend, the armour of the Rakh is fashioned from the Essence of Black Ice. Enter the realm of ConQuest with the Black Ice Steel Leg Armour protecting your thighs and knees, and join the battle against the Imperfect. 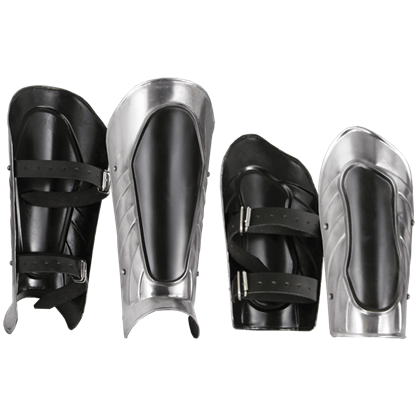 The full leg armour includes cuisses, poleyns, and demi-greaves. The 18 gauge mild steel pieces possess a polished steel and black paint finish. Rivets and rounded edges aid in deflection. Three buckle straps, made of top-grain leather, secure the leg armour to the upper leg. 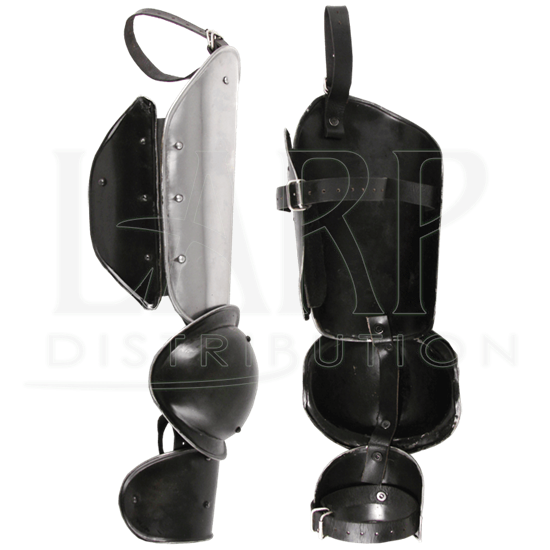 The Black Ice Steel Leg Armour matches perfectly with our selection of Black Ice armour pieces and packages, such as the Black Ice Arm Bracer and Greave Set. These are measurements of the armour only. 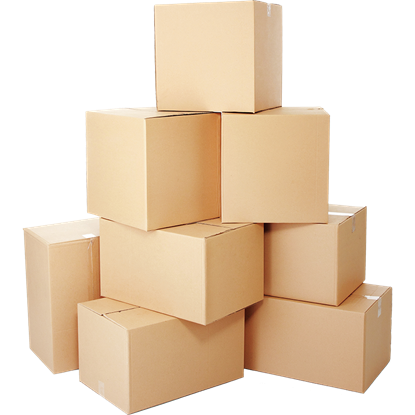 These measurements do not include the straps or buckles. This will show you how much of your leg the armour will cover. 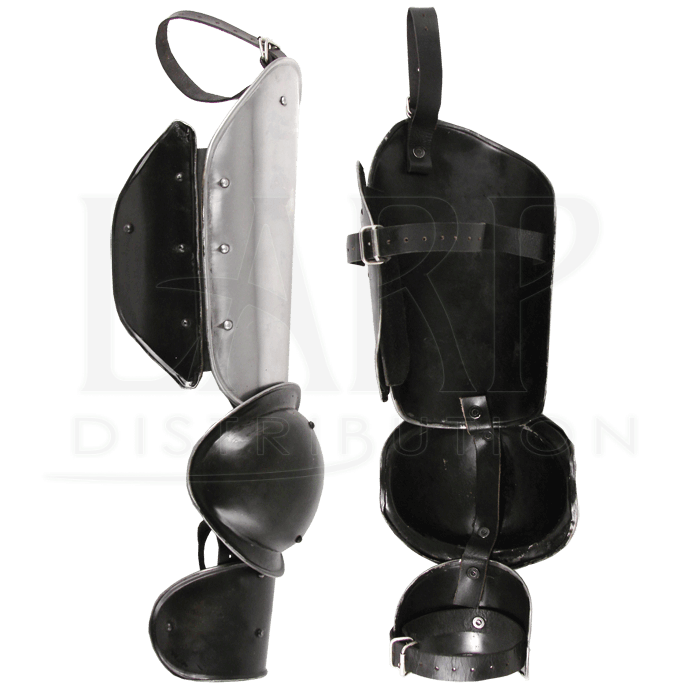 Become a fierce warrior of the Black Ice infantry from the ConQuest universe by entrusting your forearms and shins to the Black Ice Arm Bracer and Greave Set. Join their mighty ranks the next time you step onto the LARP battlefield.